Happy Birthday America! Open 4th and 6th of July by appointment only. Thank you to everyone who came out for our 5-year anniversary sale! So fun to see those who came and glad you all could win some prizes. If you haven't picked yours up yet, please stop by. Row by Row is in full swing and I've had an amazing response! Thank you!! Next week I will begin working with the SHARP program at Lake Roosevelt School in the mornings, so my hours for this month are going to be Monday - Friday 1pm-4pm or by appointment. Closed Saturday. Please call ahead if you'd like to stop by for a row, or if you need fabric, batting, notions, etc. or to drop off a quilt outside of these hours. I'm working on retreat plans for October, are you interested? Please reply to this email if you've been considering attending this year. I'm contemplating several options, including teaching the Rondure pattern, a separate room for doing your own thing, and a third room for daily projects presented by a teacher. Fees will vary based on your interests. Nancy Cargo made this on-point version of Rondure and I finished quilting it this week. The center portion is the original version and there is also an inverted design. Thanks for reading and hope the details below inspire you to stop by. 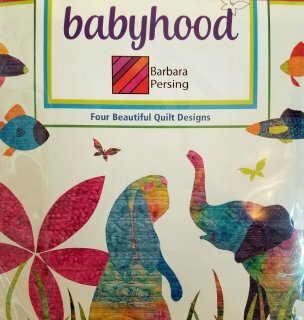 Here is the latest pattern that just arrived, more designs from Barbara Persing on the way! June 21st - September 4 for free pattern and purchase a kit. September 5 - October 31 you will be able to purchase kits with a pattern. 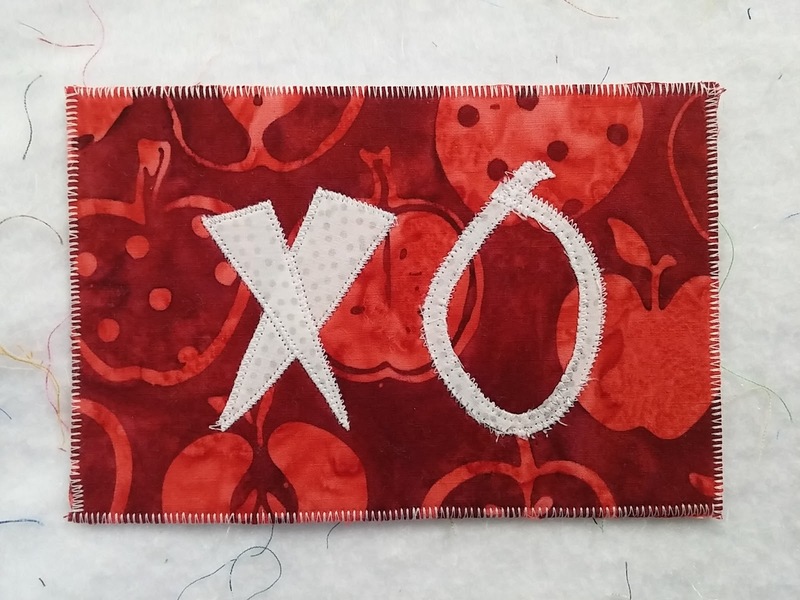 Oct. 31 is the final day to turn in a quilt for 25 free FQs! 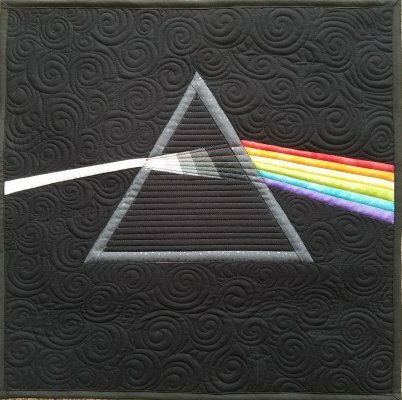 When considering designs for this year's "Sew Musical" theme, I went looking for iconic album covers that might work as a quilt block. Pink Floyd's "Dark Side of the Moon" uses a cool physics concept (refraction) that appealed to me so here is my interpretation. This 'Foxy Boxy' size of 18" square would make a great pillow or a collectable design for your Row by Row Experience quilt. If you know you're coming, please let me know in advance so I can be sure to have enough kits available for those making plans to attend or purchase in volume. 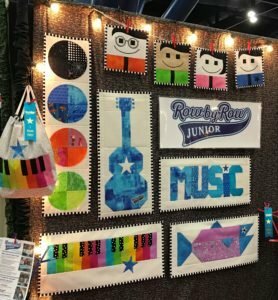 We're also a Row by Row Junior host - children (ages 6-14) can pick up a free pattern, or adult friends and family can purchase a kit with a pattern. 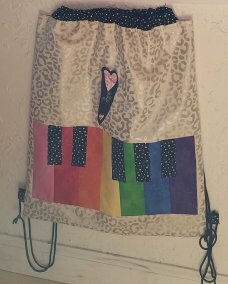 Here is our Piano Keys kit and with an extra yard or so of fabric, you can also make it up into a backpack. Next Month - two new patterns with kits, more fabrics online and sign-ups for October retreat. Share this newsletter with friends and make sure they get signed-up to receive their own newsletter.